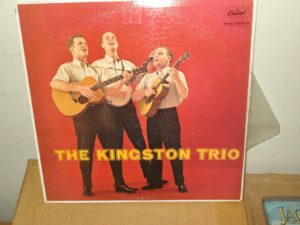 I was 16-18 when the Kingston Trio, Peter, Paul and Mary and the New Christy Minstrels were in their heyday. Even I knew in real time, by 1972, at the age of 26, that American music, and the youth culture had drastically changed in that short period. Understand, every since the rise of rock and roll, music generations turned over, on average every four years, not 25, So in what they refer to as Baby Boomers, the post WWII generation, 1946-1964, there were at least 8, yes, eight generations of music there. I am still unsure when music indelibly marked a kid, 12-14, 15-18, in order for his/her “generation” to indelibly mark them. I picked up folk music when I got my first guitar at 15 and learned to play it. I never liked electric music then, but again it was relatively new when I first became a teenager in 1957. Elvis was just OK for, but he caused my sister, born in ’42 and not a Baby Boomer, to swoon. Friends from my generation (4 years younger) used to rag her and her girl friends as they sobbed through “Love Me Tender” when it came to our theater. My sister was a genuine “bobby-soxer” and is now almost 77. A junior in college when he was shot, she would be in her 50s before she finally fell out of love with JFK. 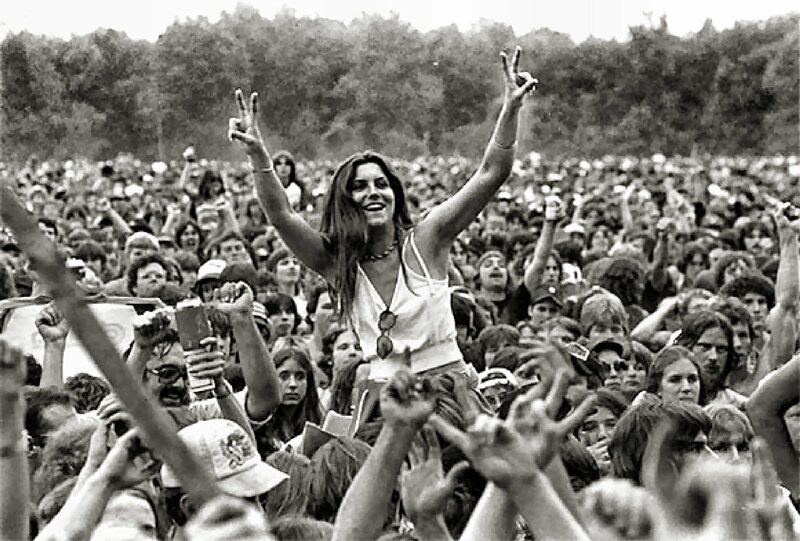 We were all Baby Boomers yet we grew up in vastly different music cultures. My brother had no interest in American Bandstand, or the Philadelphia sound, or even Doo Wop. We shared nothing. He was a DJ for local radio and knew all the music genres, but I had no idea that “black music” had to have its own category. Brook Benton was universally loved. My brother had never even slow-danced to “16 Candles”. But I can point to folk music, and the relationship folk groups had with their audiences, as the only time musical performers communicated directly with those audiences, sometimes through the song itself, as folk music was full of silly songs, unlike the rock bands that would succeed them, or sometimes maybe as a joke line introducing a song. The Kingston Trio were more prolific at this device than other performing group. 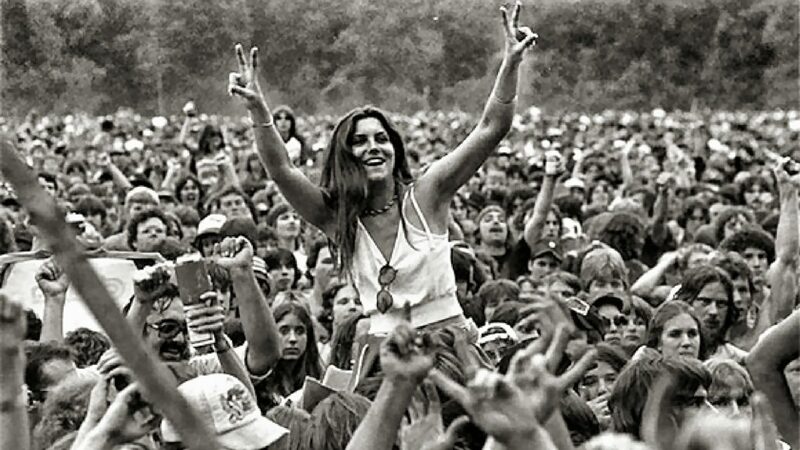 Then, in 1969 Woodstock occurred. We really need to discuss this.